Anyway… It was an incredible book and I loved every page of it. I read in quickly the first time to find out what happens so I still have to go back and read it again… and again… and again… and again… and… you get the point. I personally preferred the UK cover of this book (can be found at end of review) but the U.S. cover is pretty cool too (as seen below). I’m so happy that the wait is finally over… I voted for the UK cover but didn’t know which one had won until the day the book was released. The crew is no closer to defeating Gaea. Yes, Percy and Annabeth are back from Tartarus but they still have to face the earth goddess in Greece and everybody knows what will happen then. 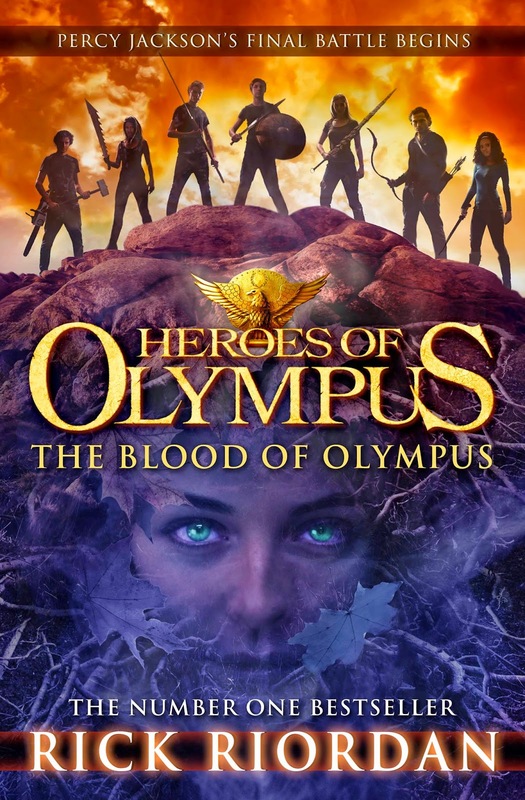 The blood of two demigods- The Blood Of Olympus- will help Gaea rise from the earth and everything good will be destroyed. Nico and two others are flying to the Camp Half-Blood to restore peace between the Romans and Greeks with the Athena Parthenos at hand, but will they be able to do it? 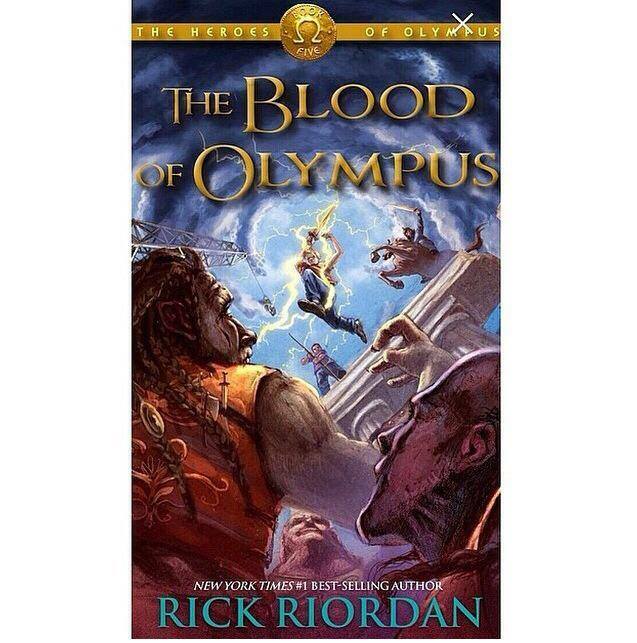 At the same time, Percy and his crew of 6 are sailing to Greece to stop Gaea and kill the demons. However, one thing they don’t know is that Gaea still has some tricks up her sleeve. She is the earth goddess after all.